Ready to live smaller? This popular movement encourages homeowners to downsize from a typically large family home that takes 30 years to pay off - to a more affordable and smaller house. There are a lot of potential savings: fewer lights, less space to heat and cool, and of course the tiny mortgage payment. Small living requires you live a more simple life. With less space for storage, de-cluttering is a must. And you'll be less likely to buy all of that unneeded stuff that just takes up time, money, and space. The best part is, if you do choose to downsize, you don't have to sacrifice style. 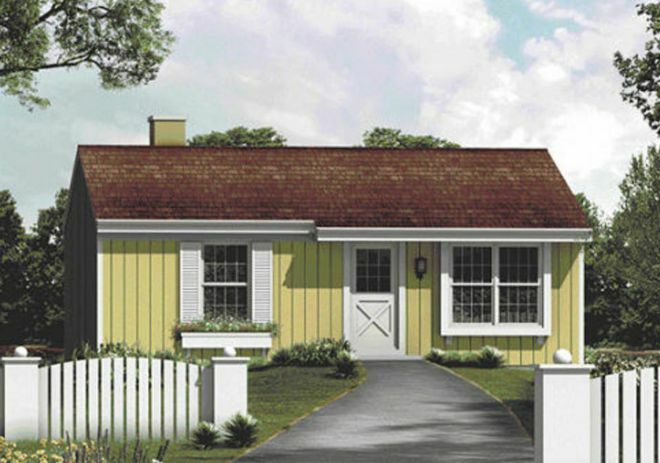 Stylish farmhouses come in plenty of compact layouts. 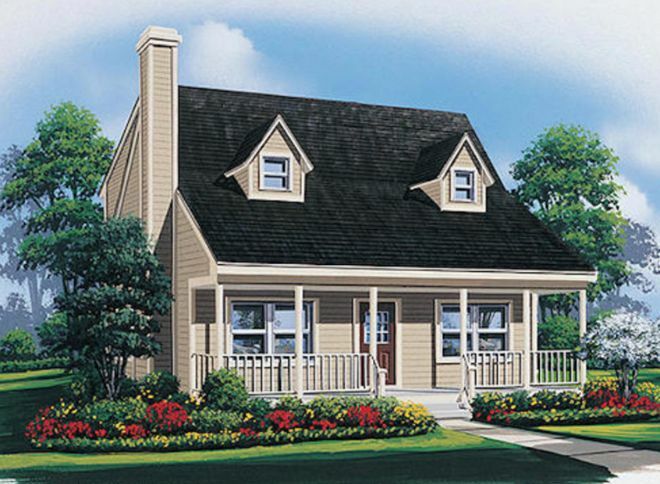 These cozy homes combine the rustic coziness of a country farmhouse with the simplicity and energy efficiency of small living. Check out six of our favorite small farmhouses below, and if you're interested in buying any of them - click on the title links. 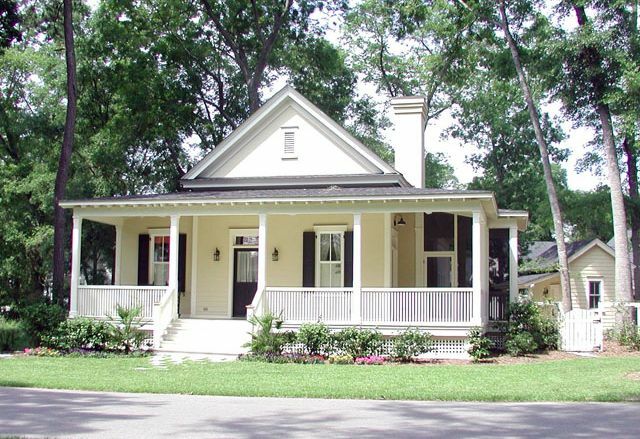 This sweet little home welcomes you with a roomy front porch. The large, open dining and living rooms create a sense of spaciousness. The U-shaped kitchen includes a separate pantry. A snack bar connects the kitchen with the dining area. 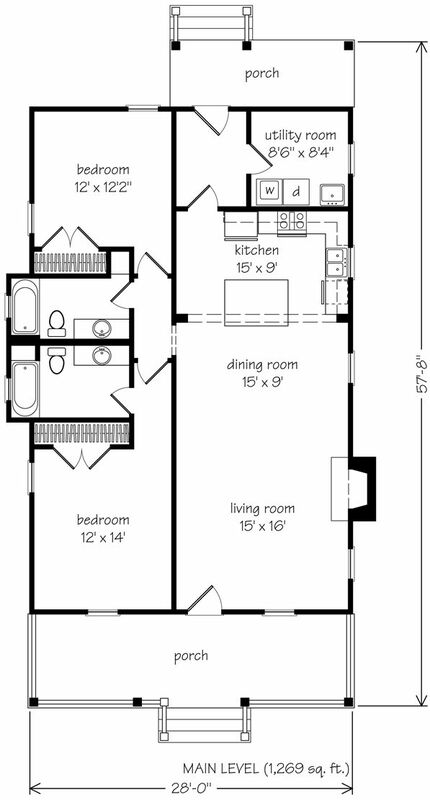 Upstairs you'll find the master bedroom, with its own full bath, as well as a second bedroom and another full bath. A reading nook with built-in bookshelves offers a charming detail. This small farmhouse is just under 1,300 square feet. The main floor features a modern open layout with a large great room and a kitchen in the corner separated by a peninsula breakfast bar. 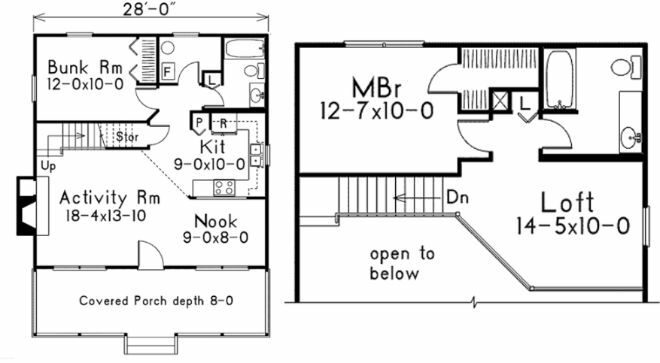 There are two bedrooms upstairs that share a bathroom. For a truly tiny option, this farmhouse comes in at under 1,000 square feet. The living room and kitchen take up the right side of the home. 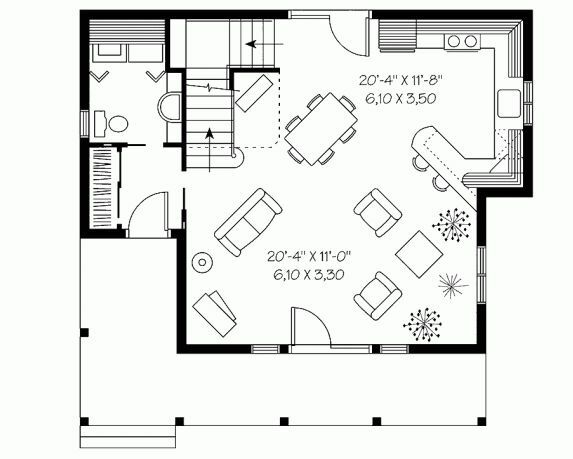 With two bedrooms on the left side of the home. An unfinished basement can provide storage, or future finished living space. 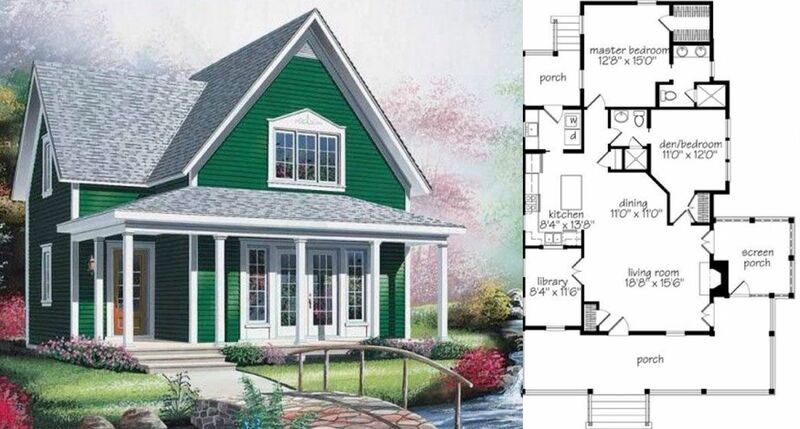 This farmhouse plan is a great option if you want to live small, but still prefer a two story layout. 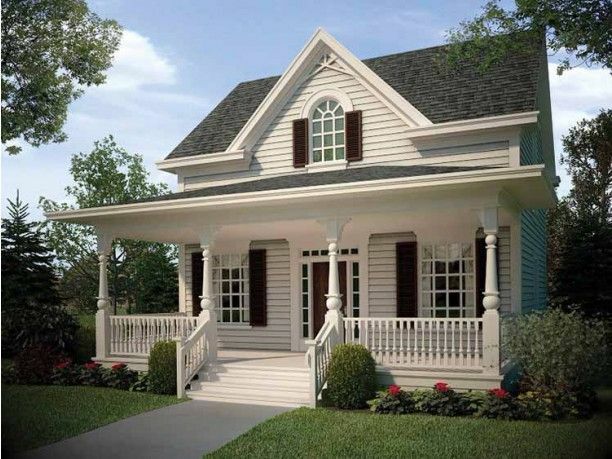 Enter the home through the welcoming covered porch into an activity room warmed by a fire place. 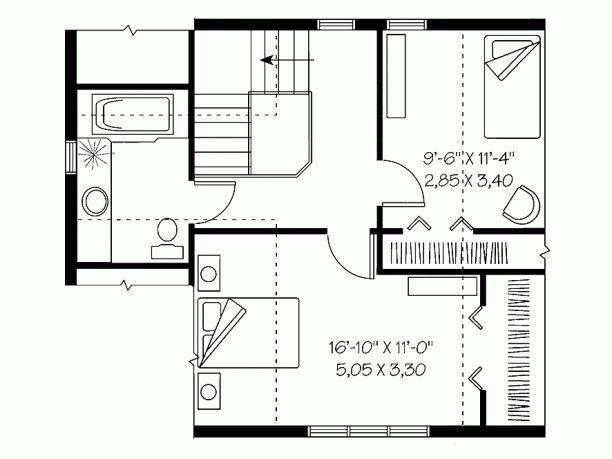 The U-shaped kitchen is efficient and centrally located. The rear of the house has a bunk room and bathroom. Upstairs you'll find the master bedroom and a loft. Southern Living describes this house as follows: "These days you need every square foot in your house to count, just like each dollar of your paycheck. 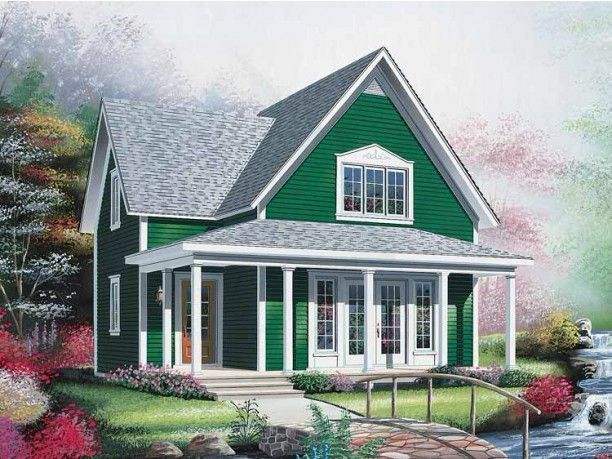 Our Holly Grove plan offers a modest 1,269 square feet, and this design is as straightforward as it is charming. Based on a shotgun house (so named because you can see clear from the front door to the back), Holly Grove boasts a combined living, dining, and kitchen area that’s suited to today’s casual lifestyles Two bedrooms and baths round out the other half of the house." 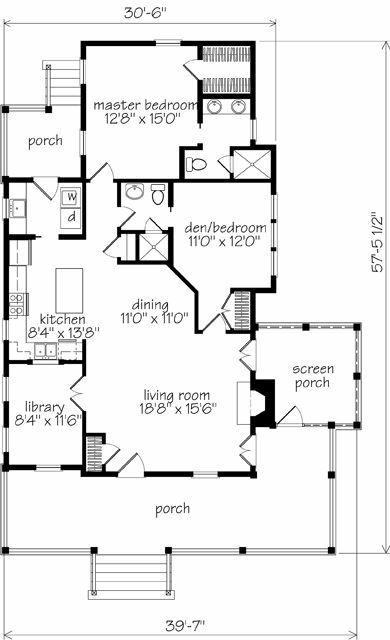 Despite its size, this plan manages to fit in two bedrooms, living, dining, and a library. The open layout gives an airy and spacious feeling. The laundry room is conveniently located off of the kitchen with access to the back porch. 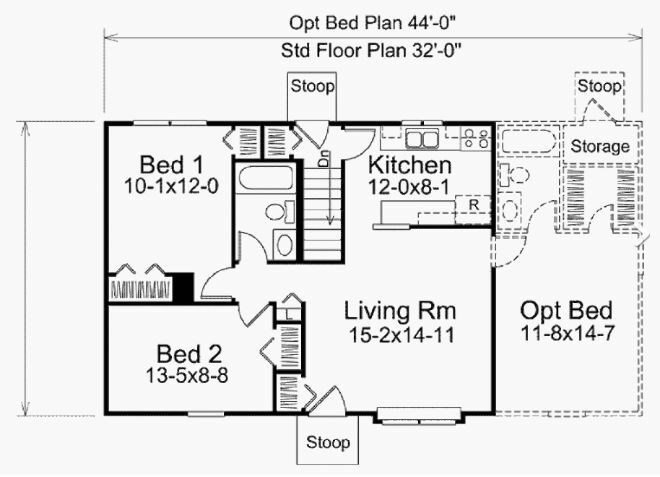 The master bedroom is privately located at the rear of the house and features a walk-in closet. 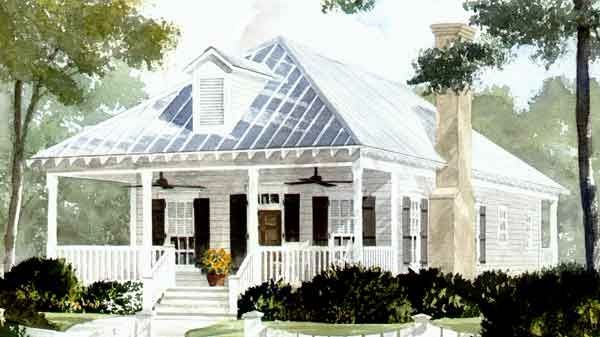 The wraparound porch with a screened section adds adorable character to the exterior. Did you have a favorite pick? Let us know on Facebook and make sure to share it with your friends!